In June 2009, Michel Richez, director of technology and information services for the Long Beach Public Schools district in New York, oversaw the launch of a pilot program to reduce the amount of time teachers spend scoring New York State student assessments. 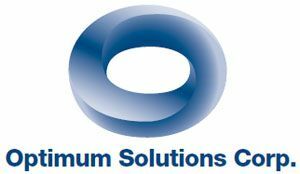 Using Optimum Solutions Corporation’s (OSC) (oscworld. com) Educational Assessment Scoring Environment (EASE), Long Beach teachers electronically scored the constructive responses and essays for 300 eighth-grade social studies exams in just a few hours, versus what used to take a full day or more. The process involves scanning student test booklets and uploading images of their responses into the EASE scoring software. Scorers view the images online and assign scores electronically. The images are then stored and are retrievable using electronic archiving. The EASE system, which is fully turnkey, has 17 integrated components, the key ones being a scoring environment that facilitates faster, more efficient test scoring; a workflow interface for assessment processing that assists in managing the scoring process; OSC’s proprietary Closed End Mark Sense Processing software; and embedded data cleaning, formatting and reporting C-type programming language that allows for user customization. The pilot project went so well that it was significantly expanded to include the Nassau BOCES, which serves the county’s 56 school districts on Long Island. Nassau BOCES then partnered with 14 other districts to score 5,000 fifth-grade social studies exams. In May 2010, the program was successfully expanded once again, to score several thousand English Language Arts (ELA) and math exams for grades 3 through 8.